Spring is a wonderful time to visit the Oregon Coast. Between whale watching, hiking in lush forests, and breathing in the salty air of the ocean, there is a multitude of things to do and see. Another reason to be excited about the outdoors during this time is the proliferation of the magnificent wildflowers in Oregon. There’s nothing quite like endless colorful fields and meadows; you just need to know where to find them! We are here to help. Read on to find out how you can experience the gorgeous wildflowers in Oregon and start planning your trip to the Arch Cape Inn today! Once you see the stunning wildflowers in Oregon, you will want to discover all the other magical activities of the Oregon Coast! Download our free Vacation Guide to cut your trip planning time in half. There’s no need to spend hours researching the area; at the Arch Cape Inn, we want to make sure you have an easy, worry-free stay. We’ll tell you where you can find the best attractions, outdoor adventures, events, and even secret kissing spots! Neahkahnie Mountain, also called “the place of supreme deity”, offers one of the most breathtaking hikes in Oregon. As you climb high up on the coastal range, you will get to see incredible views of the ocean and the coast. The real treasure awaits you on the other side of the mountain, where a splendid display of purple and yellow flowers unfolds right before your eyes and seems to never end! Ecola State Park is lush and vibrant and makes for the perfect whale-watching spot in the spring. Here, you can stroll under the tall trees as you travel the Indian Beach Trail. This moderate two-mile path takes you through a real wonderland of wildflowers and ferns. Tip: You need to pay an entrance fee of $5 to get into the park, so make sure you don’t forget your wallet! Take the Cape Falcon Trail through the coastal rainforest of Oswald West State Park. You can walk through edges of blooming wild roses, with a view of the coast in the distance that seems too beautiful to be true. Take a minute to inhale the delicious smells all around you: the roses, the delicate drops of water on the leaves, and the fresh air from the beach. Tip: If you want to know more about great places to see wildflowers in Oregon, don’t hesitate to ask us upon your arrival! We will be delighted to reveal to you the secrets of Cannon Beach. 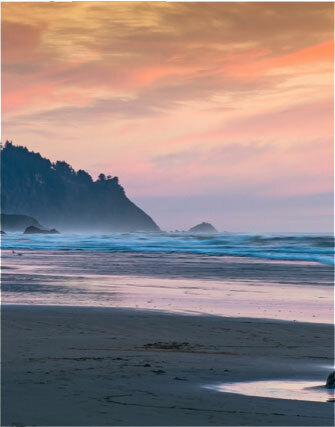 Experience the best of the Oregon Coast when you stay at Arch Cape Inn & Retreat! We want to make sure you are taken care of and pampered. 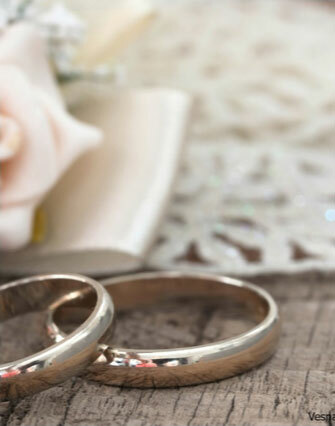 Our accommodations are perfect for a romantic getaway with your significant other. Travel to a place of elegance and serenity, where old European charm meets the comfort of our modern amenities. Book our Heather Room and relax like never before in this lovely and spacious queen bedroom. Enjoy a breath of fresh air on your private deck and delight in the view of the garden in front of you. Take a hot shower in your private bathroom, nestle up by the fireplace with your significant other, and get a good night’s sleep until the early morning light wakes you up. Then, open your eyes to a view of the ocean and enjoy a delicious homemade breakfast with the freshest and tastiest products available!